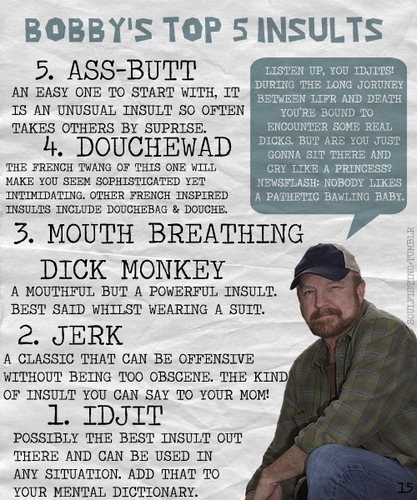 Bobby's parte superior, arriba 5 Insults. . Wallpaper and background images in the supernatural club tagged: supernatural bobby singer.